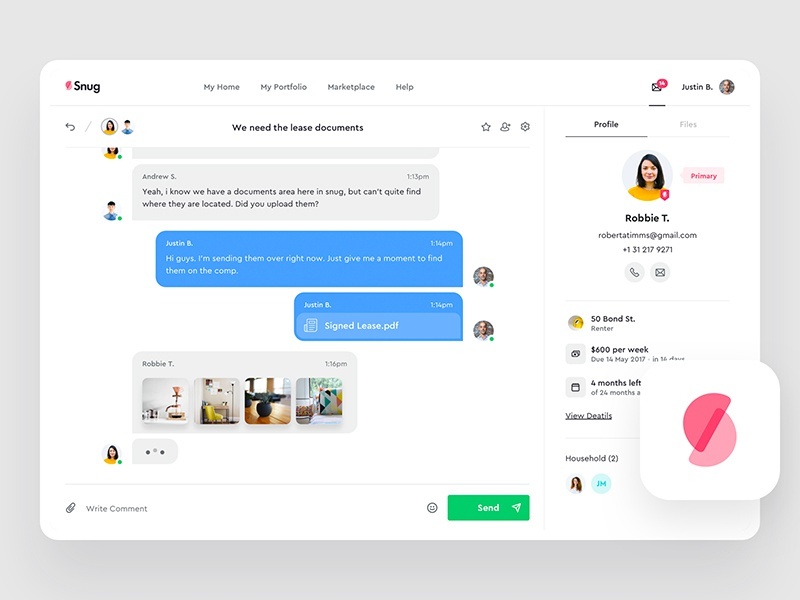 A simple messaging system we designed and developed for Snug. Snug is a property management startup from Down Under. Check the attachments for some real pixels and how the whole “system” would function.